Ice Age was a progressive band from New York, USA. 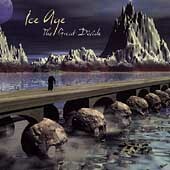 The band released their debut album The Great Divide in 1999 and from my point of view this is the most interesting release of theirs. Very playful, with funny song names like Spare Chicken Parts (I love this kind of nomenclature). In later releases their music tends to become less metal and more rock, which is ok of course but doesn’t interest me that much. Still, people who like Yes, ELP and such will like this very much. In 2006, the band officially changed their name to Soulfractured. This was accompanied by a shift in the band’s music – less overt progressive experimentation, with closer attention paid to melodic structure and songcraft. The band released the Soulfractured EP. They had previously released the Little Bird EP as Ice Age. Shortly after the second EP’s release, the group disbanded.